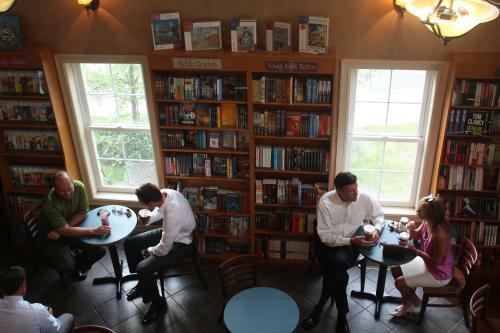 New Owners for Creekside Books & Coffee, Skaneateles, N.Y.
Erika Davis, who founded Creekside Books & Coffee, Skaneateles, N.Y., 10 years ago, has sold the store to Adam and Ksenia Tontarski of Watertown, N.Y. The store is closing temporarily this coming Saturday, May 31. After "some immediate improvements, including new equipment and staff training," the store will reopen by mid-June. Davis will be involved during the transition. Davis called the sale bittersweet and said in an e-mail to customers that "it has been both an honor and pleasure to own and operate Creekside and to have the pleasure of serving you and the community. I want nothing more than to have Creekside continue as a gathering place and I strongly believe the best way for that to happen is to bring new energy, ideas and innovation to the forefront. I have no doubt that Adam and Ksenia possess the necessary skills and experience to make this happen. I am also very pleased that they have a strong desire to continue operating an independent book café and gathering place in Skaneateles." Adam Tontarski wrote: "Ksenia and I are honored that Erika has chosen us to carry out her legacy at Creekside and continue the tradition as the Skaneateles gathering spot and third place. We feel that Skaneateles is a great community to work and raise a family and we are very much looking forward to being a part of it. Ksenia and I plan to continue the same tradition of freshly roasted coffee, food, live entertainment, as well as a fine selection of books and magazines, with newly added craft beer on draft and a carefully selected variety of wines. Additionally, our staff of certified baristas will be using state-of-the-art espresso and coffee brewing equipment to ensure the finest quality served in every cup. We are looking forward to serving you for years to come. We would like to invite everyone to please join us for our grand opening and we would greatly appreciate your continued patronage." Creekside opened in December 2004 as Creekside Books and Creekside Coffee in neighboring spaces. Two years ago, the two Creekside entities merged in the coffeehouse space. As we reported Friday, Amazon added a new tactic in its fight against Hachette for better terms: it stopped allowing customers to order many forthcoming titles and on surviving pages for unorderable books, it began advertising "similar items at a lower price." Apparently its algorithms have joined the fray. Reaction from authors, agents and booksellers has been strong. On Friday, the Authors Guild issued a statement that began: "Blackmail works best. That seems to be Amazon's negotiating strategy, at least." The statement continued in part: "Amazon's strategy is designed both to show its market dominance and to engineer a rift between Hachette and its authors. But is it working? 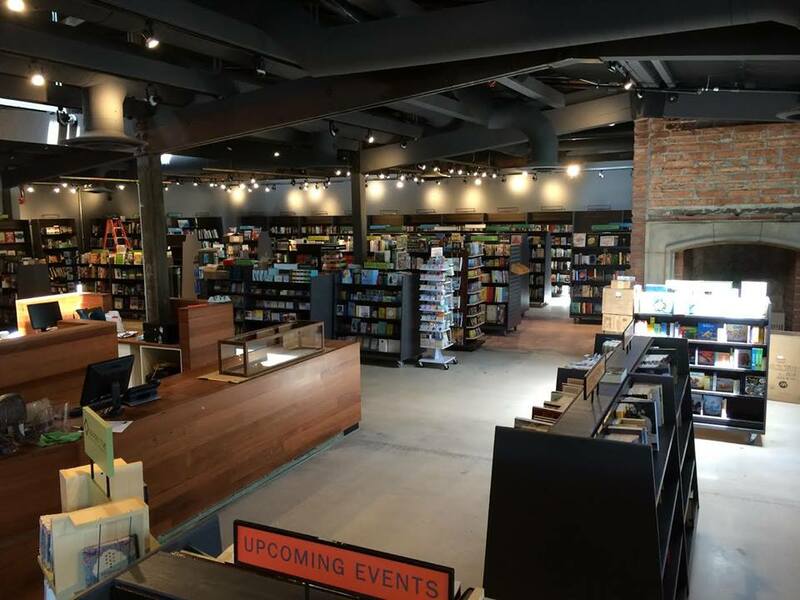 In a letter to authors, Hachette CEO Michael Pietsch relates that 'it is extremely encouraging to see our retail partners--thousands of chain, online and independent bookstores--showing their support for HBG and its authors.' Despite Amazon's foul play, Hachette still boasts the #1 Hardcover Fiction and Advice/How-To titles, and two of the Top 10 Nonfiction books in the most recent New York Times bestseller list. "Will Amazon's bullying ever backfire? Its suppression of availability dates back to 2010, when it removed the buy buttons from Macmillan titles while in a dispute with the publisher. Maybe this time around readers will realize what Amazon most wants us to forget: there are other stores in town. "And while we hate to say it, we saw this coming. "Two summers ago, when the five publishers teamed with Apple to take a stand against Amazon's e-book dominance, the Justice Department went after the publishers, not Amazon, implicitly sanctioning Amazon's monopoly and allowing anti-competitive tactics like this to continue." Booksellers at Brookline Booksmith, Brookline, Mass., "decided to see how many Hachette Book Group titles we could find in twenty minutes. Answer? Enough to create a towering pile. We're proud to carry Hachette books, and if the book you're looking for isn't in this pile, we'll pull it off the shelf or order it in for you ASAP." One legacy of the Justice Department's suit against Apple and five U.S. publishers over collusion in the e-book agency model--and a copycat European Commission action--is that publishers, never ones to talk about terms in public, have become even more tight-lipped as Amazon has become even more aggressive. As Buchmarkt columnist Gerhard Beckmann wrote: "Almost without exception, publishers are silent, like lambs in the woods, as if the wolf that is coming ever closer is a sheep." Some observers are focusing on the old argument that e-books are cheaper to publish than printed books. As the Wall Street Journal wrote: "The backdrop to Amazon's push is that e-books generate much higher profit margins for publishers than print books, where the costs including paper, printing, binding, warehousing, shipping and returns. Bedi Singh, chief financial officer of News Corp., which owns HarperCollins Publishers and the Wall Street Journal, earlier this month told analysts that margins are around 75% for e-books, about 60% on paperbacks, and about 40% on hardcovers." Taking a position that "we can leave it to the market to sort this out," Forbes said that ultimately the winner will be decided by consumers, who will decide what's more important: Hachette's books or Amazon's delivery system. "A demand that publishers must make 75% on e-books cannot be supported: they take more risk with physical books and yet gain lower margins on them. So we cannot say that as a matter of divine right the current publisher margins on e-books are correct. But equally, we can't say that Amazon deserves a greater piece of the action either. There's simply nothing to support such an assertion: after all, even Amazon isn't arguing that all people who sell e-books should get better margins if Amazon does. This is purely about who has the power in this relationship. Who, in short, has the economically scarce good here and thus ought to be gaining the profits from the transactions?" Bloomberg Businessweek senior writer Brad Stone offered an unusual personal perspective on the dispute. Because the publisher of his Amazon exposé, The Everything Store: Jeff Bezos and the Age of Amazon, is a Little, Brown title, the paperback version of the book, due out in October, is "among the casualties," i.e., unavailable for pre-ordering. He wrote in part: "It's difficult to avoid such rich irony. A book detailing Amazon's heavy-handed tactics in business negotiations has become, at least in a small way, a victim of those tactics. "The more serious impact may be to Amazon itself. Jeff Bezos and crew have built 20 years' worth of customer trust and established a record of being a uniquely customer-focused company, willing to forego potential revenue when it jeopardizes the user experience. By making some books harder to find and harder to buy, it's damaging its reputation and alienating the broader community of authors. "Amazon watches these public-relations tide winds carefully. A few years ago it relaxed its stance over collecting sales tax when it started to lose the PR war, particularly in California, where it was getting clobbered by a negative television ad campaign paid for by physical retailers. At the time Amazon was trying to establish its tablet, the Kindle Fire. 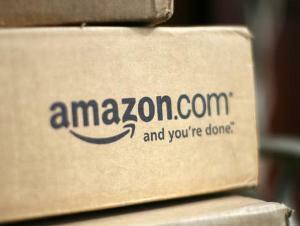 Now Amazon has a new set-top box in the market and, perhaps, a coming smartphone. This bad publicity is the last thing it needs." Noting that readers and writers are "caught in the crossfire," Zola Books is showing its "support of Hachette authors and their fans" by offering a 30% discount on all books published by Hachette, "available for immediate download for iPhone and iPad." In an announcement, CEO Joe Regal added, "As one of the largest individual sellers of books in America today, Amazon has a tremendous amount of power over which titles get distribution--and they aren't afraid to use it. Unfortunately, their actions are damaging authors' abilities to get their books into readers' hands. Join us in showing support of those authors by buying a few of their books today; even though they are discounted to you, the authors still get their full payment." 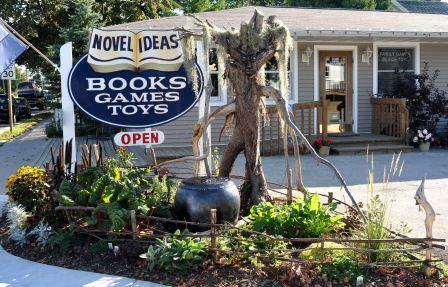 Novel Ideas bookstore, Baileys Harbor, Wis., closed on Sunday. The store opened in 2006 and was owned by the father-and-daughter team of Patrick and Michelle Palmer, offering games and toys, as well as "plenty of pages for all ages (and directions to Cana Island Lighthouse)." Baileys Harbor is in Door County, a vacation and tourist area near Green Bay. 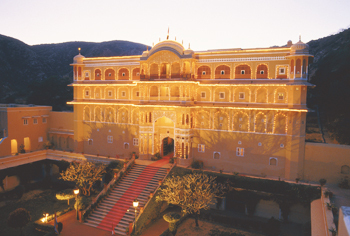 "Travel writing is one of the oldest forms of literature, and many a reader has dreamed of visiting the places about which they have read in their favorite books," said company chairman Christopher Foyle, who is also a member of the Explorers Club. "Now we are offering our customers the opportunity to make literary pilgrimages in the company of experienced tour guides and renowned writers, who will provide expert knowledge and insightful discussion along the way." Allan Folsom, "a struggling screenwriter whose first novel, an intricate thriller called The Day After Tomorrow, was by some accounts the highest-priced fiction debut in publishing history when its rights sold for $2 million in 1993," died May 16, the New York Times reported. He was 72. Image of the Day: Changing Hands Phoenix--Opening Soon! "The building we are moving into is a Phoenix icon.... But when we first saw it... it was a mess! Graffiti on the walls, broken glass everywhere, the floors were uneven and dicey to walk on in the dark. We used cell phones as flashlights, propped open doors and tried to imagine if it could be made cool again. "I have to admit that what got me totally excited last week was seeing the cash register counters and the coffee/beer/wine bar framed in. I stood inside of them and imagined customers coming to the counter to pick up a book they had ordered or standing next to the bar sipping a cappuccino or an ice-cold beer." The Wall Street Journal has a long piece on BookCon, the consumer-focused part of BEA that makes its debut this coming Saturday, May 31, which it called an "added public dimension" of the show that's "expected to boost awareness of coming books and spur chatter on social media." "We're planting our flag," Liz Perl, executive v-p of marketing at Simon & Schuster, told the Journal. "We're interested in any opportunity to reach readers directly if we can encourage them to sign up for our newsletters and introduce them to new writers. We want to identify influencers, people with strong social media platforms who are active in book clubs or who write reviews for Goodreads." For the Denver Publishing Institute's marketing week in July, Carl Lennertz is asking for any fun marketing materials and galleys, particularly adult and children's book items, including totes, T-shirts, sell sheets and "any and all bells and whistles." Send any items to his attention at the AAP, 71 Fifth Ave., New York, N.Y. 10003 by July 1. Effective July 1, Charlie Girl & Co., the publisher of Charlie Girl, a children's picture book about a Standard Poodle living in New York City. A follow-up is due out early next year. Effective July 1, Pitchstone Publishing, Charlottesville, Va., founded in 2003, a publisher of rational thought, humanism and atheist titles, including Coming Out Atheist: How to Do It, How to Help Each Other, and Why by Greta Christina. Effective with backlist in July and frontlist April 2015, the Popular Book Company (Canada), which publishes workbooks and other learning materials for preschool and elementary school children covering subjects in English, math, science, French and other integrated subjects that align with Canadian Curriculum and U.S. Common Core standards. Effective August 1, Dry Climate Studios, Wilmette, Ill., publisher of "beautiful things from beautiful places," including A Is for Aspen, B Is for Boston and C Is for Chicago. Effective September 1, Tuva Publishing, Istanbul, Turkey, which publishes how-to books and magazines on cross stitch, sewing, crochet and other craft activities. Effective September 1, Rosarium Publishing, Washington, D.C., a publisher founded las year that specializes in novels, anthologies, graphic novels and comics. New titles include Mothership: Tales from Afrofuturism and Beyond and Pitch Black Rainbow, the latest collection of illustrations and process art work from graphic artist John Jennings. Effective September 1, the Wine Appreciation Guild, South San Francisco, Calif., which for 27 years has provided wine accessories and wine storage and published print and audio books on wine, including wine travel guides, technical books on growing wine grapes, and cooking and bartending with wine. The Guild has a backlist of nearly 1,000 in-print, out-of-print and hard-to-find titles on wine. Effective January 1 and distributed by IPG subsidiary Trafalgar Square Publishing, Racing Post Books, which grew out of Racing Post newspaper, a major source for racing and betting information in the U.K. Racing Post Books publishes almost 50 titles each year under its Racing Post and Raceform imprints. Titles range from photographic books, biographies and autobiographies on race world figures and horses to guides on events, and statistical and results books. Racing Post Books' Doped: The Real Life Story of the 1960s Racehorse Doping Gang was named the winner of the 2013 William Hill Sports Book of the Year Award. Earlier this month, a crowd of some 150 people gathered at Politics & Prose in Washington, D.C., for a discussion featuring six nonfiction picture-book creators, moderated by children's literature historian Leonard S. Marcus. It was the second picture book panel convened by P&P's Mary Alice Garber. Marcus opened with a brief history of children's nonfiction in America. In the 1950s, he explained, Congress appropriated money to teach science and math (the result of a Cold War mindset that feared the Soviet Union would excel in these areas), bringing a surge of nonfiction for children. But a 1976 Horn Book article, "Where Do the Prizes Go?" by Milton Meltzer, exposed the biases of the Newbery and Caldecott committees: committee members were not considering nonfiction contenders, and Meltzer had the statistics to prove it. With the prevalence of the Common Core Standards and their emphasis on nonfiction materials, Marcus suggested, the pendulum may be swinging in nonfiction's favor. Brian Floca, four-time Sibert honoree (given for "the most distinguished informational book[s]" by ALA) and winner of the 2014 Caldecott Medal, said he didn't realize he was creating nonfiction books until he started winning awards for them. "I was unaware of the fiction/nonfiction divide, and even how they're shelved differently in stores," he admitted. "I always just focus on making the best picture book I can." He conceded, however, that nonfiction "demands tricky things of you." For his Caldecott Medal–winning Locomotive, he envisioned the story of one train crew crossing the country. But he discovered that the crew of a transcontinental train would change several times over the course of the trip. "I couldn't just have the crew decide, 'What the heck--let's keep going,' " said Floca. In the resulting book, the star of the story is the train itself. Another challenge can arise when the facts veer in a direction that may not work for a child audience, pointed out Susan L. Roth, co-author (with Cindy Trumbore) and illustrator of the 2014 Sibert winner Parrots over Puerto Rico. "At one point, there were 11 parrots left. And people ate those parrots," she said. Both facts made it into the book, but Roth was careful to keep the story hopeful and positive. Duncan Tonatiuh, author and illustrator of the 2014 Pura Belpré Honor book Pancho Rabbit and the Coyote, said he struggles not to weigh down a story with extraneous facts. His most recent book, Separate Is Never Equal, centers on Sylvia Mendez, born of Mexican parents, who successfully integrated a California elementary school seven years before Brown v. Board of Education. In researching this story, Tonatiuh discovered that Mendez lived in a house vacated by a Japanese family that had been forced into an internment camp. To keep the picture book focused, he left out that information. Marcus compared nonfiction writing to "packing a suitcase, or writing poetry." Jen Bryant, author of the 2014 Sibert Honor book A Splash of Red (illustrated by Melissa Sweet) concurred, saying her immersion in the world of the poet William Carlos Williams (for A River of Words, also illustrated by Sweet and a Caldecott Honor book) helped her write simple, accessible text. She uncovers far more information than makes it into the book, but "if you slosh around in the material long enough, [the facts] tell you where to focus." Legendary editor Richard Jackson (who worked with Floca on Locomotive) steered the conversation toward illustration, noting that nonfiction often inspires powerful artwork. Jackson added, "Having an actual person to illustrate is a great place to start a book." R. Gregory Christie, illustrator of Vaunda Micheaux Nelson's Bad News for Outlaws (about Deputy U.S. Marshal Bass Reeves) and No Crystal Stair (also by Nelson) agreed, but noted that that can be limiting. Though he often begins with a photograph, Christie said, "At some point, I have to throw the photograph away, because it becomes confining. I need to get rid of it before I can mess with color, form, shape and proportion. All of these things affect mood, and mood is extremely important when you're creating a book for children." For Separate Is Never Equal, Tonatiuh drew on styles employed by Mixteca (an indigenous group in modern-day Mexico) artists to achieve a flat, geometric composition that he describes as "ancient-looking and highly stylized." Floca also pointed out that a drawing can sometimes help readers understand the mechanics of, say, a steam engine, better than a photograph could. By drawing the machinery about which he writes, he also forces himself to truly understand it. My Salinger Year by Joanna Rakoff (Knopf), a memoir about the author's first job out of college--working for the literary agent who represented J.D. Salinger. This morning on Morning Joe: James Webb, author of I Heard My Country Calling: A Memoir (Simon & Schuster, $27, 9781476741123). He will also appear tomorrow on MSNBC's the Daily Rundown. Today on Fox's Red Eye: Brad Thor, author of Act of War: A Thriller (Emily Bestler/Atria, $27.99, 9781476717128). Today on Fresh Air: Howard W. French, author of China's Second Continent: How a Million Migrants Are Building a New Empire in Africa (Knopf, $27.95, 9780307956989). Today on Tavis Smiley: Nell Bernstein, author of Burning Down the House: The End of Juvenile Prison (New Press, $26.95, 9781595589569). Today on Chelsea Lately: Terry Crews, author of Manhood: How to Be a Better Man--or Just Live with One (Zinc Ink, $25, 9780804178051). Tonight on a repeat of the Daily Show: Mariano Rivera, author of The Closer (Little, Brown, $28, 9780316400732). Tonight on a repeat of the Colbert Report: Glenn Greenwald, author of No Place to Hide: Edward Snowden, the NSA, and the U.S. Surveillance State (Metropolitan Books, $27, 9781627790734). He will also appear tomorrow night on an NBC News Special with Brian Williams and Edward Snowden. Tomorrow on CNN's Crossfire: Ben Carson, co-author of One Nation: What We Can All Do to Save America's Future (Sentinel, $25.95, 9781595231123). Tomorrow on Tavis Smiley: Nomi Prins, author of All the Presidents' Bankers: The Hidden Alliances that Drive American Power (Nation, $32.99, 9781568587493). Also on Tavis Smiley: Ziggy Marley, author of I Love You Too (Akashic Books, $15.95, 9781617753107). Tomorrow on NPR's Diane Rehm Show: readers review The Secret History by Donna Tartt (Vintage, $16, 9781400031702). Tomorrow on MSNBC's the Cycle: Sister Simone Campbell, author of A Nun on the Bus: How All of Us Can Create Hope, Change, and Community (HarperOne, $25.99, 9780062273543). Tomorrow on a repeat of the View: B.J. Novak, author of One More Thing: Stories and Other Stories (Knopf, $24.95, 9780385351836). Tomorrow night on a repeat of Jimmy Kimmel Live: Robin Roberts, co-author of Everybody's Got Something (Grand Central, $27, 9781455578450). Five clips are now available from The Fault in Our Stars, based on John Green's bestselling novel and starring Shailene Woodley, Indiewire reported. The film, directed by Josh Boone, opens June 6. John Moore (A Good Day to Die Hard) will direct The Hunters, based on Chris Kuzneski's novel, with a screenplay by Robert Mark Kament (Taken and Transporter franchises). Jo Thomas won the £1,000 (US$1,690) Romantic Novelists' Association's Joan Hessayon Award for new writers for her novel The Oyster Catcher. The judges said, "The sense of place in this charming tale is superb, and the reader really feels as though they are there in that godforsaken village with the constant rain. A truly wonderful read!" We're on the road again, as Willie Nelson sings. Last year, when my debut novel came out, my family and I set out on a seven-month/35,000 mile tour, visiting more than 300 bookstores in almost every nook and cranny of this country. It was "car-schooling" for the kids and working from the front seat for my husband. And for me it was a dream come true. With my second novel just released, we have set out again. And this time, fellow author Carla Buckley (The Deepest Secret) will travel with us, passing out snacks in the backseat. We're either good friends, or absolutely nuts. Possibly both. But the truth is, bookstores have led us to embark on this trip. The virtual world is a wonderful one for books, but that conversation comes alive when you enter a bookstore. Please join us for the ride. For the first column in this series, Carla and I will alternate sharing our experiences at the various bookstores we visited. Jenny: Some bookstores are like huge art installations while others are tucked away in cozy corners of the village in which they live and breathe. The first event I did took place at a library, because the Bookworm in Bernardsville, N.J., is minute. But if you poke your head into this tiny, faceted gem, the mysterious mathematics of books becomes apparent. Book lovers know how shelves can always expand to fit just one more volume. Like Chanukah oil, the Bookworm's cozy warren of rooms holds many more carefully curated titles than you might believe. Otto Penzler's Mysterious Bookshop is one of the great mystery bookstores in this country. This bookstore is part sanctuary and part museum, containing first editions behind glass in addition to shiny new releases from big publishers and small presses alike. When this bookshop hosts a party, the room lights up like the New York City skyline. 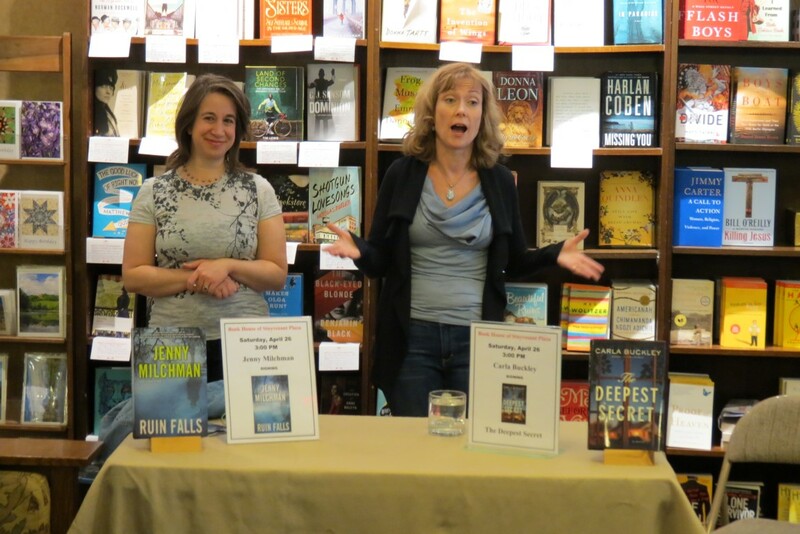 I returned home to Watchung Booksellers, Montclair, N.J., where Carla Buckley's portion of the tour kicked off. Carla joined me for a conversation about publishing and writing today. Part of the reason the two of can go on this trip together is due to a deep resonance between our careers, and the attendees that packed this cozy space were interested in our long roads to publication, and in what it takes to keep a career going today. Watchung Booksellers is the place to have such a discussion: spearheaded by owner Margot Sage-EL, it hosted the literary series, Writing Matters, for more than four years. Carla: Being able to pass out fruit snacks from the backseat of Jenny's car was just one of the incentives for me to decide to join her and her family for the first 2,000 miles of her four-month book tour odyssey. I also wanted to meet booksellers in parts of the country to which I'd never ventured before. Our second stop was at [words] Bookstore in Maplewood, N.J., which is deeply committed to employing people with autism. When we arrived, we were warmly greeted by Jonah Zimiles (co-owner with his wife, Emily Zimiles) who described the unexpected directions their lives took to bring them to owning [words]. Jenny: Oblong Books in Rhinebeck, N.Y., hosted a panel discussion featuring Kelly Braffet (Save Yourself), Therese Walsh (The Moon Sisters), along with Carla and me. Our topic? "Literary Versus Genre Fiction: Real Distinction or No Difference at All." The conversation was lively, thanks to an engaged audience of aspiring authors, booksellers who'd left their own store behind to come see this one, and one very special 13 year old who proved that books render the generation gap inconsequential. Carla: Jenny's new hometown bookstore is the Golden Notebook, a gorgeous gem of a shop nestled amid the bustling and winding streets of Woodstock, N.Y. The owner is Jackie Kellachan, who describes herself as its current caretaker, a sentiment echoed in the way with which books are displayed, the children's nook is laid out, and the event space spanning the second floor, replete with breathtaking views of the Catskills. We had a great audience, filled with poets, writers, and artists, and it was hard to pull ourselves away to get back into the car and on the road. A vibrant wall of books at The Book House in Albany, N.Y. Stepping into the Book House of Stuyvesant Plaza in Albany, N.Y., was like being welcomed into someone's living room, with bookshelves and comfortable furniture. The sign in the restroom says it all: it asked the staff please to remember to use their indoor voices in the store. This was apparently spurred by a passionate book discussion one day between two staff members. That's exactly the feel of this store, where it's clear that everyone here loves books. Jenny and I couldn't help but linger to talk after our event with booksellers Rachel King, Courtney Kane, Khai Shaw and Alexis Sky. When we left, we felt we'd made lifelong friends. We crossed the state line into Vermont--my first visit to this beautiful state! I didn't know what to expect when we drove into Manchester, a bucolic town perched amid the Green Mountains, except great outlet shopping. But when we turned the corner and saw Northshire Bookstore, all thoughts of rummaging through Michael Kors clearance bins vanished. Mary Allen warmly greeted us at the door, and we couldn't help but notice the display of our books front and center, among the works of so many authors I admire. I wanted to stop and peruse the shelves (what booklover wouldn't?) but readers were waiting for us upstairs, in a bright lovely space just beyond the expansive children's section. If I had lived here while my children were growing up, this is the place we would have made our second home. 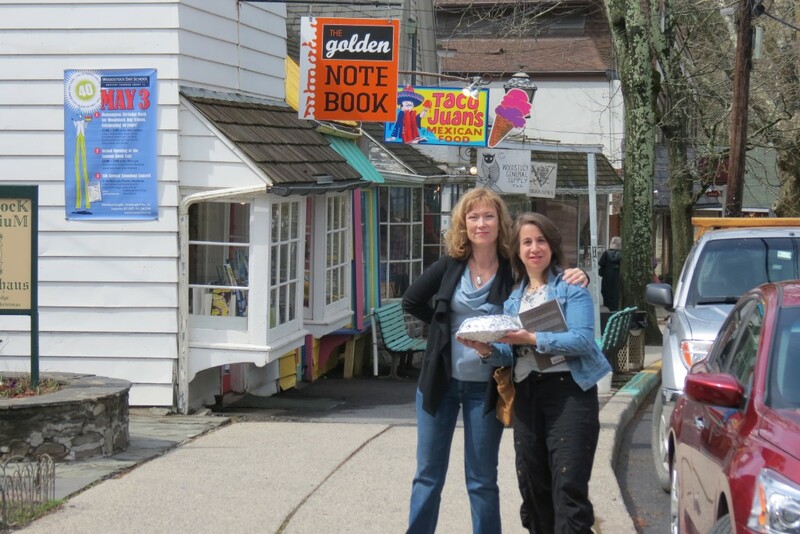 Jenny: We then went to two terrific bookstores in Connecticut. An example of how bookstores are using their physical presence to create experiences that cannot happen online is the author's luncheons run by Bank Square Books in the seaport town of Mystic. To a crowd of three or 60, the booksellers serve salads, baked goods, and wine, while the guest author chats, reads and joins in conversation. In our case, it was two guest authors, and a lively circle of book lovers, which hardly left time to enjoy the homemade spread. The event calendar at the renowned R.J. Julia Booksellers in Madison could make almost any author wonder whether they deserve to be included. Okay, maybe that's just me. It's easy to feel insecure on the road! Having two authors is a wonderful remedy for nerves. Carla and I contrasted our differing reasons for making this trip, and why in her case it's a juggle, while for me it;s more like a circus car full to bursting. After all, my whole family--and life--packs itself into this trip. Carla, on the other hand, had to leave a lot behind. The avid attendees at R.J. Julia were interested in it all, and their questions were some of the most thought-provoking we'd heard. One example: "What does it take to make it as an author today?" We head south from here, and will check in again as we hit the wild west, or at least Chicago. Till then, here's to books, and please let us know which bookstore you visit. Perhaps it can be added to next year's trip! It's doubtful former New York Times reporter turned Columbia University journalism professor Ari Goldman (The Search for God at Harvard; Living a Year of Kaddish) set out to produce a self-help manual when he began this engaging account of his return to playing the cello after a hiatus of more than two decades. Still, it will be a surprise if his story doesn't inspire at least a few baby boomers to dive into the chaos of a messy closet to find a long-abandoned musical instrument, determined to prove that their investment--whether it's money expended on lessons or time spent practicing--will bear fruit. Goldman joined the titular orchestra, an organization "founded on the premise that serious music isn't only for the accomplished musician," in 2009, inspired by the example of his youngest son, Judah, who demonstrated considerable talent as a cellist early in life. For seven years ending in the early 1980s, Goldman had traveled weekly to Westchester County to study with an "irresistible musician" and unusual teacher, Heinrich Joachim, who had been a refugee from Nazi Germany. "Mr. J.," as Goldman calls him, became something of a surrogate father, and his influence pervades his former student's renewed struggle to attain a semblance of proficiency on the instrument he loves for its "rich, sad and soulful sound like nothing else in God's creation." Goldman's training is dogged, all of it directed toward the goal of performing a recital on his 60th birthday, an event he recounts with the same modesty that marks the rest of this story. He introduces a bevy of intriguing characters he meets in the LSO and at musical camps in Yorkshire, England, and the tiny fishing village of Lubec, Maine, while sharing tidbits on the history of the instrument, playing technique and the pure joy of bringing music to life. Again and again, Goldman encounters enthusiastic, if less accomplished, musicians like Elena, one of the founders of the LSO, whose mantra was "If you think you can play, you can play." 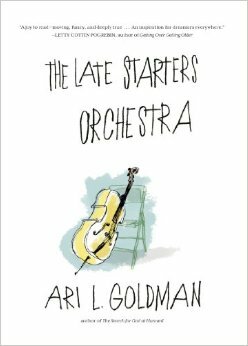 Shelf Talker: Journalist Ari Goldman's affecting memoir describes the satisfactions of his return to music in middle age.